California, in particular Los Angeles, is defined by its contradictions. It’s a place of indescribable beauty teetering on the edge of environmental disaster. It exudes a glamour and carefree spirit that draws thousands of hopefuls, but as you stroll through the city’s rejuvenated downtown area, you see rows of tents nearby inhabited by the homeless. The University of California system is the nation’s crown jewel of public higher education, yet prisons comprise a bigger chunk of the state’s budget. Perhaps the most glaring contradiction of California is how it regards K-12 education as both a priority and an afterthought. To live in proximity to an excellent public school, a resident of Los Angeles will have to pony up seven figures. 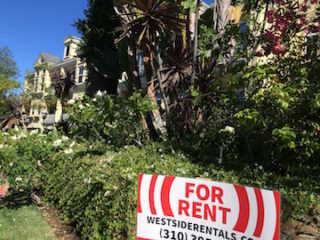 “Renters spend approximately $617 more on rent every month to live near top-performing elementary schools in L.A. than those living near low-ranking schools,” a RentCafe spokeswoman said. “That amounts to more than $7,400 a year. Los Angeles has one of the most unaffordable rental markets in America. Given the median income in the city is $49,497, the majority of the city’s residents can barely pay their rent let alone purchase a home when the average cost is over $570,000. Low- and middle-income Angelenos pay a staggering percentage of their salaries on housing for no guarantee of being able to send their children to a decent school. It’s magical thinking to pretend the vast majority of the city’s residents living outside the tony Westside have equal access to a quality education. And even more magical to think that will change if data used to monitor school quality and funding is cast aside. California has been on a three-year hiatus from accountability, leaving residents to wonder how school districts are not obligated to demonstrate results when so much money is involved. The Local Control Funding Formula, passed in 2013, grants school districts unprecedented flexibility over how they spend money with the understanding that extra resources would be directed to low-income students, foster youth and children learning English, a laudable development if the formula was not lacking in transparency. Teacher evaluations are not tied to test scores, but to vaguely defined “multiple measures.” There has been little discussion as to what to do with low-performing schools. California has become a virtual data desert leaving researchers, policymakers and politicians frustrated—even efforts to track chronic truancy have been thwarted. Three organizations have filed suit contending that the Los Angeles Unified School District shortchanged its funding for low-income children, foster youth, and English-language learners. California ranks 46th on fourth and eighth grade NAEP scores and the state’s dismal results are further magnified when examined along racial lines. Fewer than one in four Latino children and fewer than one in five African American children are proficient in math. Nevertheless, conversations about teacher quality in California have mostly come to a standstill. Despite study after study illustrating its importance and how poor children of color are denied good teachers, progress has been lagging. To wit: the LAUSD board is only just now beginning to entertain the idea of sending talented teachers to struggling middle schools. Yet such a measure will be sure to meet intense opposition from the powerful United Teachers Los Angeles. What ails traditional public schools in the city, the UTLA contends, is charter schools. Here is magical thinking at its most galling—find fault with school choice. Don’t look inward. Try telling that to the families who comprise a waitlist of 41,830 students for 282 charter schools. Try telling that to people who fork over ever increasing amounts of money to live in a city that puts education on the backburner (whose mayor is known for sidestepping the issue whenever possible). Try convincing these people to not care about how money is given to schools when the system keeps ignoring its neediest students, including their own children. It is magical thinking for the state of California to not appreciate the anger of many families who have lost faith in its traditional public schools, an anger built over decades. As long as California has a shaky relationship with this reality, distrust will only grow as will the exodus from traditional public schools. And the following kernel of sarcasm, taken from the aforementioned L.A. Weekly article, will continue to be a rueful joke. “California is the ultimate land of opportunity. And everyone has an equal chance.